In the middle of Rome, lies the Vatican City, a tiny independent state and center of the Roman Catholic Church. This is where the pope and other leaders of the Catholic Church live. The Roman Catholic Church previously owned many states in Italy. The Vatican City is the only one remaining. The Vatican City has a simple government, ruled by the pope. Its primary purpose is to forward the work and mission of the Catholic Church. 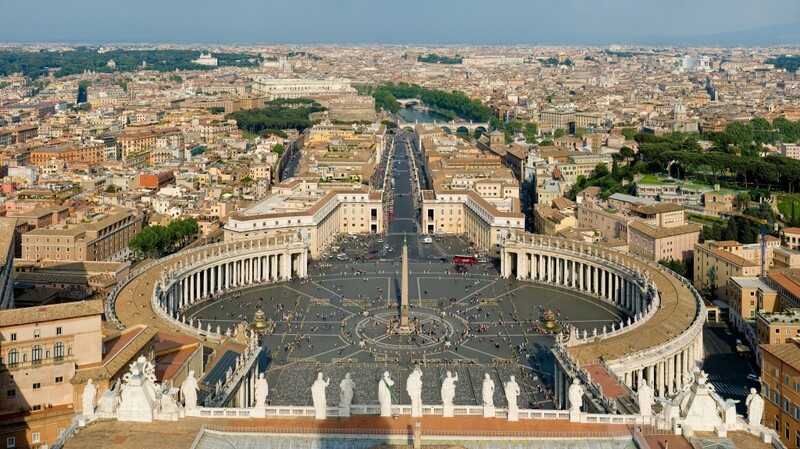 The Vatican City is small – less than ½ square mile. The city holds the Vatican Palaces, where the pope lives and St. Peter’s Basilica, an ancient church and tomb. There is also an observatory, a pharmacy, a newspaper and publishing house, a radio station and museums and administrative buildings. 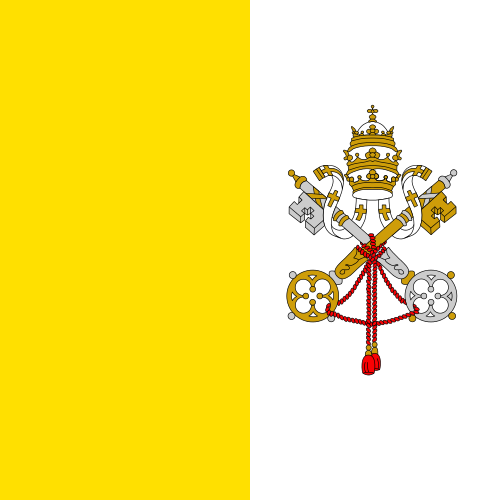 The Vatican City has its own flag, postage stamp and national anthem. The Vatican City is the capital. Between 800 and 1,000 people live here. The Vatican City has .17 square miles of land. People here speak Italian and Latin. 100 percent of the people who live here are Catholic. The Euro is the recognized currency. A video about the history of Vatican City. It also shows St. Peter’s Basilica and the Vatican Museum. Question: Can people visit the Vatican City? Answer: Millions of people visit the Vatican City every year. Most come to honor their religious faith. Others come to see the artwork and museums. Here’s a map of the country of the Vatican City and all its cities and villages. Zoom in to get into street level or zoom out to see other countries around the Vatican City! You can see the terrain, but also see the roads, images of the buildings and even take a 3D tour through the streets of the cities of the Vatican City, as though you are actually there! Enjoyed the Earth Science for Kids all about the Vatican City info? Take the FREE & fun Vatican City quiz and download FREE Vatican City worksheet for kids. For lengthy info click here. Declan, Tobin. " Vatican City Facts for Kids ." Easy Science for Kids, Apr 2019. Web. 25 Apr 2019. < https://easyscienceforkids.com/all-about-the-vatican-city/ >.